We are well aware that when it comes to competitors, Honda is without a doubt our biggest competition. The Toyota and Honda rivalry goes back decades, and people are often torn between getting the Toyota or Honda model when trying to decide on a new vehicle. 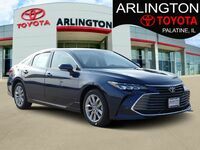 There are a lot of advantages that Toyota has over Honda, but one of the most obvious is that the Honda lineup has no answer for the luxury 2018 Toyota Avalon. 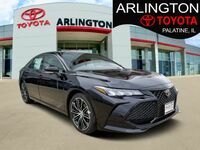 Our flagship sedan, we decided to compare it to Honda’s flagship, the 2018 Honda Accord. 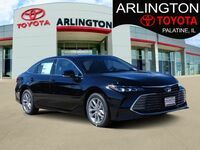 While both models are their respective brand’s flagship, the Accord is a midsize sedan, whereas the Avalon is a full-size luxury sedan. We know that might not be the fairest of fights, but the Accord still has plenty of advantages over the Avalon in certain regards. So, we’ll analyze the table below to give you a better idea of where each has its advantages. 17.0 gal. Fuel Capacity 14.8 gal. Power is the most obvious advantage that the luxury Avalon has a leg up on the Accord. Its much larger engine generates 268 horsepower, while the Accord’s only generates 192 HP. However, the Accord has a pretty good answer to that as it achieves far superior fuel efficiency in the form of 9 extra miles per gallon combined. While the Accord has a potential to save you some money on your gas tank, the Avalon does offer a larger fuel tank which means it should extend your time between fill-ups. Finally, the last area we looked at was towing capacity, of which the Avalon can tow up to 1,000 pounds. In the Accord, however, it is not recommended to tow anything. 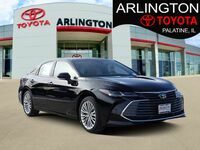 If you think you might be interested in a luxury 2018 Toyota Avalon of your own, be sure to schedule a test drive right here on our website.